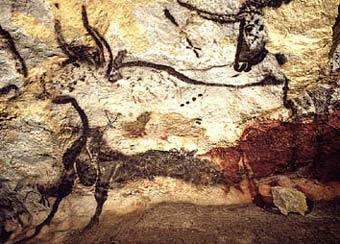 The world famous caves at Lascaux are found near Montignac, 30km north of Sarlat in the Dordogne. 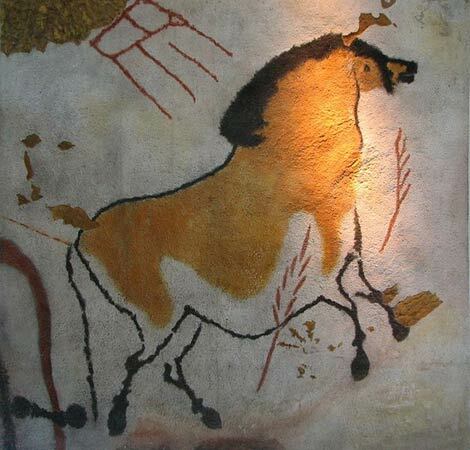 Although they are not the oldest cave paintings in France, or the most extensive, and visitors see a faithful reproduction rather than the originals, they are still an immensely popular attraction, and highly recommended as one of the highlights of your visit to the Dordogne region. The paintings in Lascaux caves date from the period around 17,000 years ago, although the caves were occupied for a long period - perhaps 6000 years in total - during the Magdelene period. In a well known story, the Lascaux I caves were discovered in 1940 by a group of teenagers who were searching for their dog. After the end of the second world war the caves were opened to the public, to great acclaim, but then were closed in 1963 because the paintings were being damaged by the breath of thousands of visitors. The cave paintings at Lascaux are mostly pictures of large animals. There are also some carvings of animals to be seen, and a few images of people, most notably in a sequence that seems to represent a bison hunt. In total there are more than 1000 images in the cave system, and their vibrancy and colour make them the prehistoric equivalent of the Sistine Chapel - except they were painted in almost complete darkness! Perhaps most interesting of all, they include the 'auroch', an early relative of the ox that is now extinct. 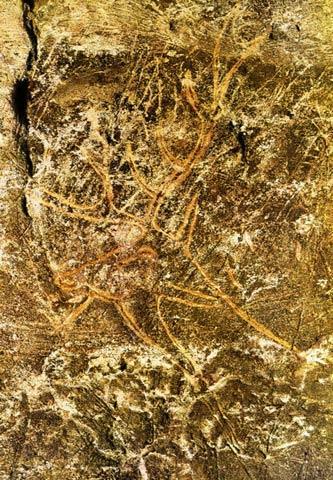 It is believed that the Auroch was a sacred beast in prehistoric times. Another curiosity is the painting of a creature with two long straight horns, not identified as a real animal and known as the licorne (unicorn). A copy of the caves was created nearby so that visitors to Lascaux could still appreciate the caves. Known as Lascaux II, the 'reproduction' caves are a copy of most of the prehistoric paintings contained in the original Lascaux caves, 200 metres away. As far as possible the same materials - natural pigments etc - and techniques have been used for the copies as for the originals. Ongoing attempts to restore and preserve the original paintings continue, as they have for decades, but it seems unlikely the original Lascaux paintings will be open to the public anytime soon, and probably never. The original cave is now a hermetically sealed environment where none but a few scientists can enter, and is a UNESCO World heritage site. Note: I heard recently that the copies themselves are also now in danger - perhaps not surprising as they were made using the same techniques as the originals. Lascaux II caves are open all year except January - mid-February, closed Mondays in low season. Entrance charge about 9 euros (60 euros for children 6-12). Tickets available on site, although there is frequently a queue to enter, especially in summer. Combined tickets are also available that include entrance to other caves in the Vezeze Valley.